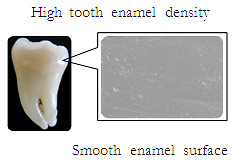 Lion Corporation (President: Itsuo Hama) announced today the nationwide release of Clinica Enamel Pearl on Wednesday, February 15, 2012. This new medicated toothpaste uses Lion’s proprietary “Enamel Care Formula” to dislodge and inhibit the reattachment of grime. At the same time, Clinica Enamel Pearl promotes the development of strong, shiny, white teeth and prevents cavities by increasing tooth density. With the message of “cultivating strong teeth,” the Clinica brand has received high ratings for helping families to maintain healthy teeth. According to a survey conducted by Lion, in recent years awareness has been increasing among women in their 20s and 30s regarding the importance of such socially oriented health care as maintaining beautiful teeth. This heightened awareness has emerged amid changes in lifestyles affecting such areas as job-seeking, marriage, pregnancy, childbirth, childrearing and social interactions among mothers. Consequently, the survey reveals that the “beautiful teeth” that women of this age group are striving for are white, unaltered, natural-looking (like those of children), and intrinsically attractive with a pearl-like shine while also being healthy and strong. When the density of a tooth’s surface enamel decreases, tiny indentations form, causing teeth to become dull looking. 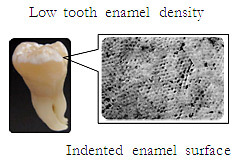 Conversely, when enamel density is maintained at a high level, the tooth surface remains smooth and shiny (please refer to the reference information provided below for more details). Focusing on tooth enamel density while striving to promote healthy, beautiful teeth, Lion not only emphasizes removing grime from teeth, but helps users maintain high enamel density. Lion will release Clinica Enamel Pearl to meet the desire of women for beautiful, strong, shiny, white teeth. 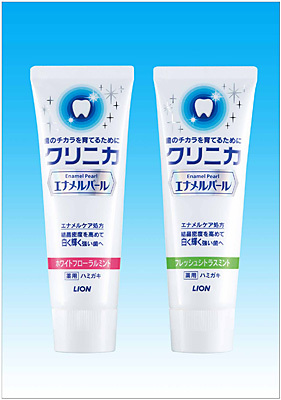 Featuring Lion’s proprietary “Enamel Care Formula,” this new medicated toothpaste dislodges and inhibits the reattachment of grime, while increasing tooth enamel density—and thereby preventing cavities—through the use of fluorine, a medicated fluoride that promotes re-mineralization. (1) Brushing with Lion’s proprietary “Enamel Care Formula” leads to strong, shiny, white teeth. The large- and small-sized “Double Scrub”1 thoroughly removes stains (colored grime) from between the tiny indentations on the surface of teeth , while Lion’s proprietary active ingredient dextranase enzyme2 chemically breaks down and dislodges plaque (see Image 1). 2.An enzyme for dissolving plaque that is a proprietary development of Lion. It was the first enzyme in Japan to be approved as an active ingredient for breaking down and removing plaque, in 1979. Step 2: Increases tooth density Fluorine medicated fluoride3 increases enamel density in order to prevent cavities by promoting the absorption of calcium and other substances in tooth enamel (see Image 2). Step 3: Maintains beautiful teeth “Stain barrier components”4inhibit stains from reattaching to tooth surfaces (see Image 3). (2) The fine foam reaches the entire oral cavity. The surface of teeth is covered with enamel, which has a semi-transparent structure. In the early stages just before cavities form and as enamel density decreases, transparency is reduced, causing certain areas on tooth surfaces to appear a dingy white color. Consequently, tooth surfaces become indented and lose their shiny bright appearance. When tooth enamel is healthy, and thus has a high level of density, tooth surfaces are free of tiny indentations and appear smooth and shiny. To maintain bright, shiny, beautiful teeth, it is important to remove and inhibit the reattachment of grime while promoting re-mineralization to keep tooth enamel at a high level of density and, in turn, prevent cavities.